Posted: Monday, September 5, 2016. 1:54 pm CST. By BBN Staff: The illegal settlement in the Chiquibul National Reserve where BDF soldiers came under fire last Wednesday has been cleared, according to a press release from the government. GOB says that the official order to leave has been complied with and the illegal structures in the area have been dismantled. 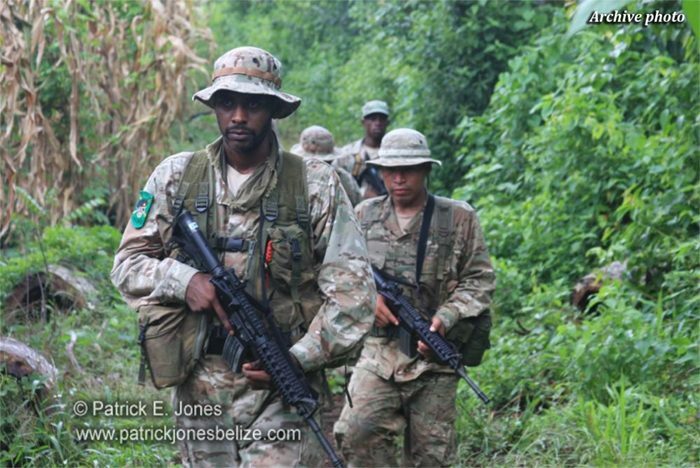 Last Wednesday night a BDF reconnaissance patrol came under fire in the Chiquibul National Park, approximately 259 meters east of the border. Illegal settlers reportedly fired shots at the group of BDF soldiers as the patrol came upon their settlement. The BDF soldiers returned fire in self-defense and withdrew to safety, GOB saaid. None of the soldiers sustained any injuries and there is no indication that anyone was injured in the exchange of gunfire. 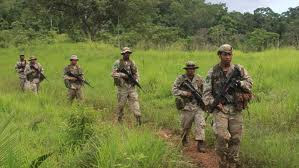 GOB says the purpose of the BDF patrol was a follow-up to an official order made to illegal settlers within the Chiquibul National Park to leave. That official order was issued on August 22. GOB has asked the OAS office in the Adjacency Zone to coordinate logistical arrangements between both Belizean and Guatemalan law enforcement agencies and to witness compliance with the order for the illegal settlers to leave.